Tower Hill Insurance Group announces the availability of Commercial Lines products for Florida businesses, through Tower Hill Prime Insurance Company. Tower Hill Prime is an admitted property and casualty carrier headquartered in Gainesville, Florida. Previously, only Personal Lines products were available through the carrier. Tower Hill’s new Commercial products will be introduced in phases, starting with a mono-line property program now available for Commercial residential risks — apartments, townhomes, homeowners associations and condominiums. Risks currently considered are up to $10 million in total insured value and up to 25 years old; coverage for risks up to $20 million in total insured value will soon be available. Business owners and commercial package policies are scheduled to be available later this year. Tower Hill’s President of Commercial Lines, Joel Curran, CPCU, stated “We are pleased to provide our valued agency partners an admitted market for these products, to augment our surplus lines offerings we have provided for many years.” Tower Hill products are available exclusively through our network of independent insurance agencies located throughout Florida. With the addition of these new products, Tower Hill now offers both a standard and an excess and surplus lines market for Commercial Lines agencies contracted with Tower Hill Insurance Group. For additional information about Tower Hill Prime products or to be considered for a Commercial Lines agency appointment in Florida, please contact Marketing Specialist Rebecca Neville at 800.509.1592 extension 1395 or rneville@thig.com. About Tower Hill Insurance Group: Founded in 1972, Tower Hill is the largest writer of single-family homeowners policies in Florida, based on policies in force as of September 30, 2014 (source: FLIBI). 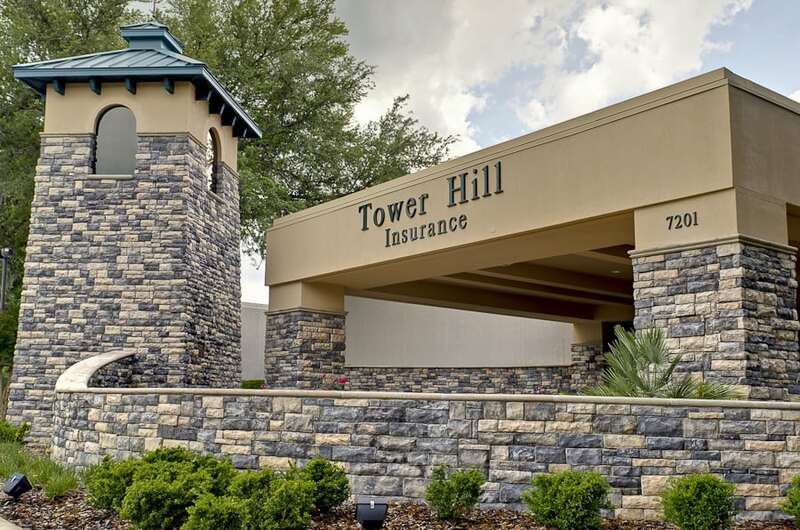 Through its partner, Rockhill Insurance Company, Tower Hill continues to offer the following non-admitted Commercial products in Florida: homeowners associations; hotel/motel; office/retail; self-storage; and mercantile. Tower Hill is located in Gainesville, Florida. For more information about Tower Hill, please visit www.THIG.com.